At eighty feet high and close to two feet thick, the black birch dwarfs its fellow trees. It’s solitary, preferring to make its home on craggy, mountain precipices, where its branches can reach over deep chasms and it roots can burrow between rocks into moist, rich soil. But it’s also handsome, having large oval leaves laced with fine veins that turn yellow in autumn and bark that in youth is a seamless near-black and in maturity becomes cracked and furrowed. The astute observer of nature knows that this cracking is a most auspicious development. At such a stage the bark, grown redolent of wintergreen and imbued with a spicy flavor, separates easily from the trunk, and can be harvested for a number of products, such as tea, chaw, a nostrum to ease bowel complaints or a salve to cure cankers. 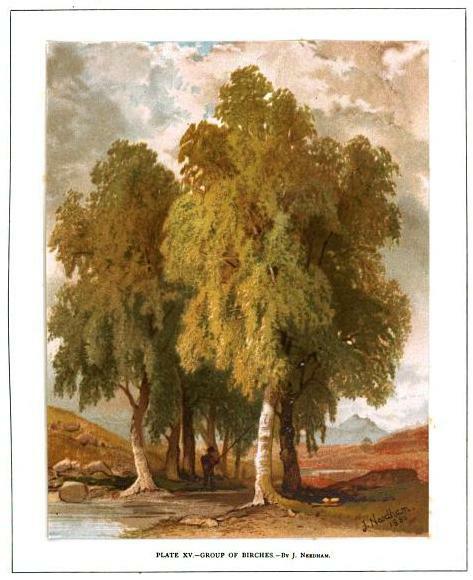 The birch tree’s youngest twigs make the best – and most ecologically sensitive – tea; the thick inner bark, though tasty, leaves the trunk scarred and disfigured when removed. 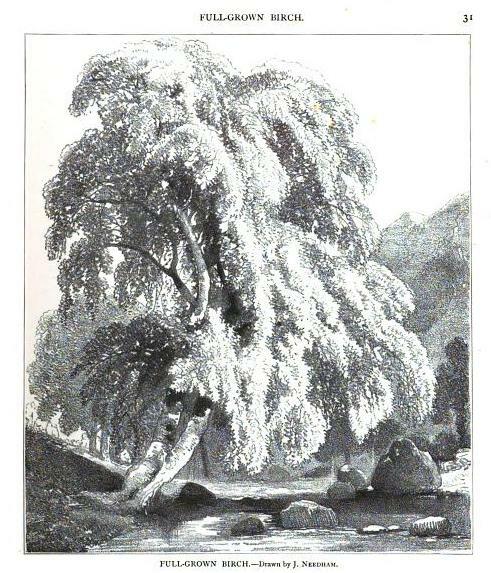 Drying the bark does nothing to diminish the tea’s flavor, which is best enjoyed with sugar, cream and cookies of the sort featured in this recipe from the San Rafael Cook Book (1906). 1 cup sugar, 1/2 cup butter, 1/2 cup sour milk, 1 egg, 1/2 teaspoon soda. Flour to make soft dough and flavor to taste. 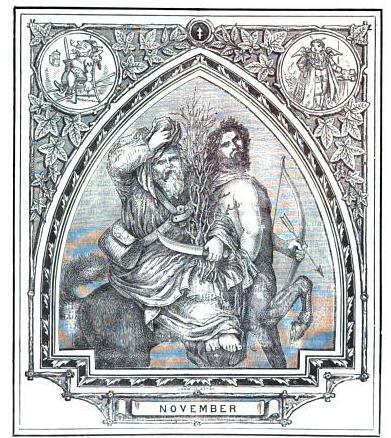 Variously monikered “the blood month” for the many animals slaughtered during it, the “wind month” for the icy gusts that swept the land, and “the month of blue devils and suicides” for reasons unstated, November was to those who lived before T.S. Eliot the cruelest page of the calendar. Occult influences of the sun’s moving into the house of the constellation Sagittarius were blamed for the merciless turn taken by the weather, which beset London with endless days of leaden skies, torrential rain, and stifling fog. So sharp, in fact, were November’s winds that farmers believed them to suspend “the vegetable powers of nature,” which would resume only with the arrival of spring. Yet this suspension proved less than total. 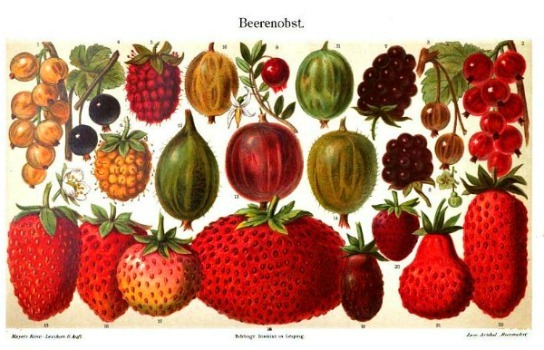 In 1864 Scottish publisher and geologist Robert Chambers advanced the idea that, rather than arresting the vegetable powers of the year’s final crop of berries, sleet and frost ripened it to perfection. Brambleberries, blueberries, dewberries, cloudberries – all reached maturity in November’s chill embrace. The fact of this late development proved a real boon for the rural poor, who could brighten the otherwise blear approach of winter with a selection of pies. A particular favorite among them was the bilberry; its smallness and perishability ill-suited it for market, and it grew only in the wild, which meant that anyone who wished could pick them. Austria, Finland, Norway, Sweden and Switzerland had (and still have) on their law books provisions for the free gathering of this fruit irrespective of land title, private gardens and nature reserves excepted. The bilberry was, then, truly a common fruit. This democratic character perhaps inspired Abraham Holroyd’s long forgotten poem, “The Bilberry Moors” (1873). As we march to the bilberry moors. Ye wealthy keep all that ye bound! To roam on the bilberry moors. If mean might should happen to question your right to gather bilberries close to home, you can always range the wild, arid places where they like to grow. Your efforts will be amply rewarded; the fruit’s light, tart flavor makes for delicious puddings, jams, and syrups of the sort presented in the recipes below. 70. Bilberry Pudding.—Make a suet crust, grease and line basin, half fill it with fresh bilberries, strew 2 tablespoonsful of sugar over them, and continue to fill the basin till it is heaped up. Put the top crust on and flour a cloth, tie it over, and boil for 2 hours. Bilberries in any form, either uncooked, made into pies, puddings, jam, or syrup, are particularly good for people suffering from scrofula, whether of the lungs or however it may be developed. 71. Bilberry Jam.—Gather the berries on a fine dry day, and after the sun has had time to dry the dew or moisture off the berries; weigh the fruit, put into a preserving pan with 1 pint of water, let it boil half an hour, and then add 6 pounds of sugar to every 7 pounds of fruit. Boil for three quarters of an hour; test it at the end of that time by putting a little in a saucer; put it out of doors to cool, and if it sets, it will be found to be sufficiently cooked. If not boiled enough it will not set firmly. Fill dry jam pots in the usual way, and cover down when cold with brown paper. 72. Bilberry Syrup.—Put 2 lbs. of loaf sugar into a saucepan with 1 pint of water; let it boil for a quarter of an hour, stirring all the time. Put on the fire, in a saucepan, 3 lbs. of bilberries; let them boil for half an hour, pass them through a jelly bag, and add the juice to the syrup. Clear with the white and shell of one egg, lightly whipped, and put into the syrup. Put it on the fire again, let it boil well up for three minutes; lift it carefully to one side, skim all the froth off as gently as possible, then pour into bottles and cork for future use. 1 tablespoonful in a tumbler of water before breakfast is considered quite a heal-all by some of the people in the midland counties. 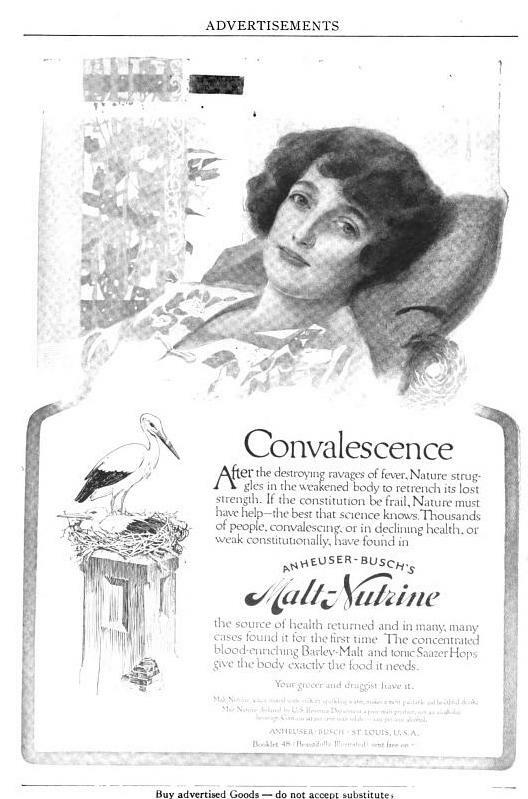 It certainly contains some valuable acids, and is a refreshing beverage on a hot summer’s day. Warm weather heralds the arrival of berry season, and thoughts naturally turn to the various trifles, cakes, parfaits and tarts that make this season all the sweeter. The following recipe for blueberry-honey cake, which appears in Joanne Lamb Hayes’s informative 2003 tome, Grandma’s Wartime Baking Book, makes for a delightful summertime dessert. Because butter and sugar were rare in wartime America, Hayes’s recipe, which is based on one from the February 1943 issue of Farm Journal and Farmer’s Wife, calls for honey and chicken fat. 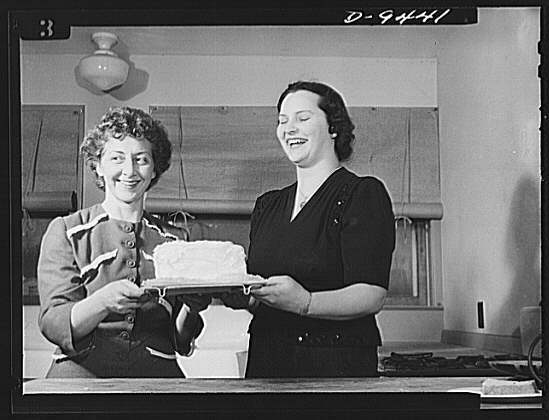 Though you may not want to exchange now-abundant sugar for honey, using butter in place of chicken fat does make for a tastier cake. Preheat oven to 375 degrees F. Grease and flour three 9-inch round baking pans. Stir together the flour, baking powder, cinnamon, soda, salt, and nutmeg in a medium bowl. Beat the honey and chicken fat or butter with an electric mixer on high speed until fluffy; beat in the eggs all at once. Spoon the dry ingredients over the honey mixture; add the milk and beat on low speed, scraping side of bowl occasionally, just until smooth. Fold in the berries. Divide the batter among the prepared pans and bake 20 to 25 minutes or until the centers spring back when lightly pressed. Cool layers in pans 5 minutes. Remove to wire racks and cool completely. Fill between layers and frost just the top with frosting. Penuche Frosting: Combine 2 cups packed light brown sugar, 1/2 cup milk, 1/4 cup shortening or butter, and 2 tablespoons light corn syrup in a heavy saucepan. Bring to a boil and cook to 220 degrees F., stirring constantly, about 1 minutes. Remove from heat. Stir in 1/2 teaspoon vanilla extract and beat until thick and spreadable. The Joseph Burnett Company was incorporated in 1895 and quickly came to dominate the market in high-quality extracts. The company’s manufacturing headquarters was located in South Boston, and the beautifully restored factory that churned out extracts for worldwide distribution can still be seen today. Though Joseph Burnett’s superior almond extract did not survive much beyond the mid-twentieth century, you can still make his famous cake by following the recipe below. Just make sure to use an almond extract just as pure and strong! Cream 3/4 cup butter and 2 cups sugar. Add 3 eggs, whites and yolks beaten separately and then together. Add 2 cups flour, 1 teaspoonful soda and 2 of cream of tartar. Add 1 cup milk and 1 scant teaspoonful of Burnett’s Almond. Bake in a slow oven, and frost. Cold meat, for instance, by sprinkling a little salt over it, warming gradually, and serving with gravy, can be made almost as palatable as when fresh cooked. Any kind of bread by keeping it in a tight place from the air, when wanted, placing it in a cold oven or stove, and heating it slowly, will be as good and far healthier than new. Cold bread can also be used in making puddings, etc. Three pounds (three quarts sifted and well heaped) flour, one and a fourth pounds (a rounded pint of soft) butter, one and three-fourths pounds (one quart) sugar, five gills new milk, half pint yeast, three eggs, two pounds raisins, tea-spoon soda, gill of brandy or wine, or a fourth pint of molasses, two tea-spoons cinnamon and two of nutmeg, scald the milk, cool to blood warm, add the yeast, then the flour, to which all the butter and half the sugar have been added; then mix together, and let rise until light. It is better to set this sponge over night, and in the morning add the other ingredients (flouring raisins), and let rise again. When light, fill baking pans and let rise again. Bake in a moderate oven. This recipe makes three large loaves, and is a standard, economical loaf-cake. Mary Hedley Scudder champions the ill and infirm in her 1902 article “After Christmas — What?” These people, she insists, suffer the most from the dreary, uninteresting months following the holiday season. It may be you have only a few flowers, or a single rose, and it seems so small to give, but it may help a trying hour — who knows? One day there may be a dainty to send, a cup of soup, a pretty cake, baked as for a child in a ‘patty pan;’ something will always be ready if the invalid is in mind every day. Why not, indeed? 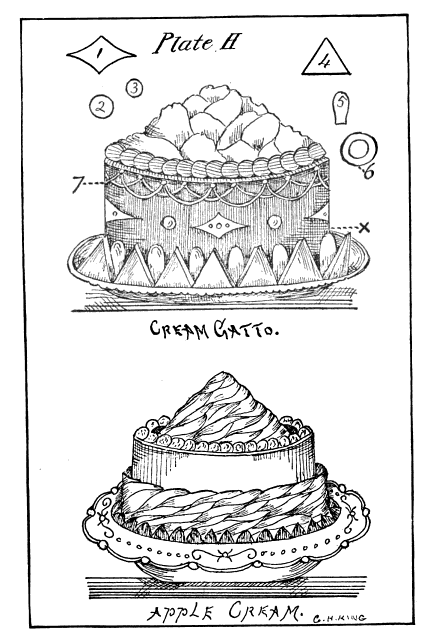 Here is a recipe for “pound cake for little tins” from a Boston Cooking School advertisement for baking tins found in the August–September, 1914 edition of American Cookery. Put a little of the mixture in the center of each tin; the heat of the oven will cause it to run and fill the tins. [Make sure to use a cake tin that bakes about 12 little cakes.] The recipe makes about sixty little cakes. Spread confectioner’s icing on the top or leave plain. George Kennan and his sled dogs traveled twenty-three days through the bleak, wintry wilderness of Siberia before they reached the tiny village of Anadyrsk. 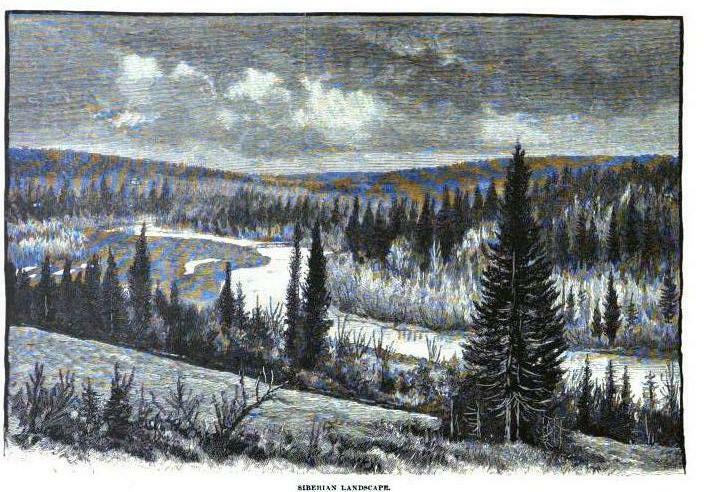 “The short winter day of three hours had long since closed and the night was far advanced,” he writes in his 1870 travel memoir Tent Life in Siberia and Adventures Among the Koraks and Other Tribes in Kamtchatka and Northern Asia, when “we drew near our final destination — the ultima Thule of Russian civilization.” Alerting Kennan to his imminent arrival was the sled dogs’ cheerful barking; he himself was lying listlessly and “nearly buried in heavy furs”on his sled, exhausted from weeks spent wandering the snow-blown steppes. A crowd of spectators gathered around the weary American adventurer, whose hungry face sporting a beard of three-weeks’ growth and a frost-bitten forehead covered in “long ragged locks” provoked in them a respectful silence. In the center of this “fur-clad group” stood a priest with “long flowing hair and beard, dressed in a voluminous black robe, and holding above his head a long tallow candle which flared wildly in the cold night air.” The priest beckoned Kennan to follow him. Kennan followed the priest into a small, tidy house. Its floors were carpeted in “soft, dark deer-skins in which one’s feet sank deeply at every step.” A fire blazed in one corner, and a “tiny gilt taper was lighted before a massive gilt shrine opposite the door.” On a small table was laid a meal of vodka, “cabbage-soup, fried cutlets, white bread and butter,” which Kennan shared with the priest and his family. What dessert Kennan enjoyed during that first meal after three weeks in the wilderness he did not record. Perhaps it was a dish of sweet Siberian crab apples like this one from the 1866 Dictionary of Daily Wants. Make a rich syrup with sugar, the juice and rind of lemons, a little brandy, and cloves. When this boils throw in the fruit [crab apples], which should be perfectly ripe. Let it simmer for a few minutes, then remove from the fire; and leave it to cool. Boil again, and continue doing so until the crabs become quite soft. Serve cool in the syrup. Gather the apples while they are still very hard. Remove the eyes, peel them, and put them into a brine of salt and water that will float an egg. Let them stand for six days more. Put them into a jar with a little mace. Boil some double distilled vinegar with sliced horseradish, a sliced nutmeg, some allspice, and a few cloves, and pour it boiling hot upon the apples. When quite cold put a cork into the jar. Boil the vinegar again every alternate day for ten days, and pour it each time boiling hot over the apples. When cold, cork the jar, and tie it down with a bladder. The pickle will not attain perfection till it has lain for three months.